For the best one and two bedroom apartment homes in Costa Mesa, look no further than Camden Martinique. Each pet-friendly apartment home features spacious, open-concept floor plans including stainless steel appliances, walk-in closets and private patios and balconies with sliding glass doors. Select floor plans also include fireplaces! At Camden Martinique, we truly have something for everyone with plenty of amenities for you to enjoy. Cancel that gym membership and work out inside the 24-hour fitness center with spin bikes and on-demand virtual training classes. Take a swim in our resort-style pools or grill a meal at one of our picnic areas. Your pets will love running around the resident-exclusive dog park too. Each apartment comes with either one or two reserved parking spaces in our gated garages with convenient elevator access to your home.. Your morning commute just got a little easier. Our prime location offers easy access to the 405 Freeway, as well as 73 Toll Road. Are you already dreaming about the weekend? Having apartments near Newport Beach makes enjoying fun in the sun something you can take advantage of every weekend, or possibly every day! South Coast Plaza is just a few miles away and with stores like Bloomingdale’s and Nordstrom, you don’t have to go very far to enjoy the best shopping Orange County has to offer. Hungry after all that shopping? Enjoy dinner at one of over 75 restaurants between South Coast Plaza and Huntington Beach. Costa Mesa apartments this close to all that Orange County has to offer are hard to find and it’s time to live the good life. Residents receive a technology package included in the total monthly rent with a savings of up to 54% off retail. This money-saving package includes high-speed internet up to 300 Mbps and 225+ channels including over 120 HD channels and HBO. Looking for more options? Access Spectrum and HBO Go from your smart device + over 250,000 Spectrum WiFi hotspots nationwide. 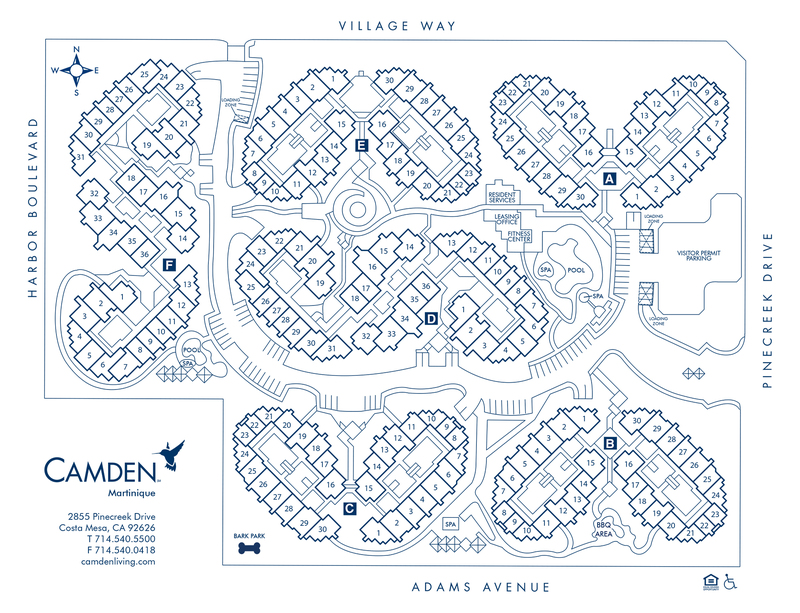 With multiple floor plans to choose from, we are sure to have the perfect apartment for you. Please see management for approval. We'll save a spot for you! Every apartment home includes one reserved parking space in the underground parking garages; select floor plans offer two reserved spaces. Visitors may park in the designated visitor area for up to 24 hours.